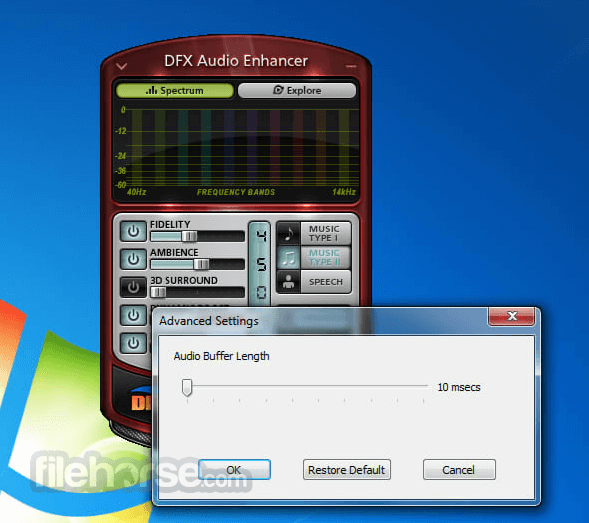 Experience studio quality sound on your favorite movie and music applications: iTunes, Spotify, Windows Media Player, Winamp, VirtualDJ, VLC media player, Media Player Classic, QuickTime Player, RealPlayer, Rhapsody Software, JetAudio, GOM Player, MediaMonkey, DivX Player, foobar2000, KMPlayer, Songbird, BS.Player, JRiver Media Center, Pandora One, Last.fm Scrobbler, and all other media players. Experience clear and louder voices when chatting or web conferencing with people on Skype, Google Chat, Google+ Hangouts, Windows Live Messenger, Yahoo! Messenger, Camfrog, Paltalk, GoToMeeting, WebEx Meetings, Adobe Connect, and all other audio and video chatting programs. 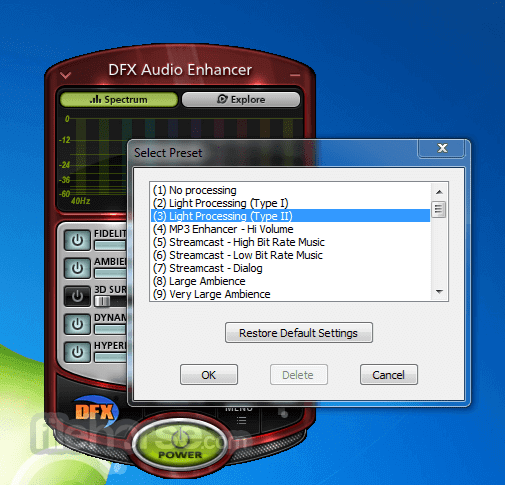 Experience more absorbing and powerful video soundtracks when watching DVD and Blu-ray movies and TV shows on your computer. Note: Limited functionality in demo version. 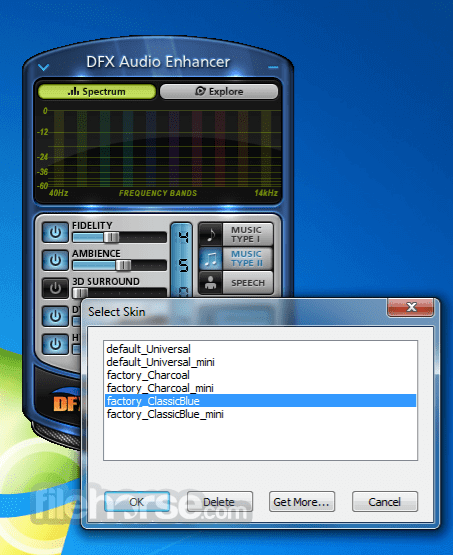 The core technology and audio enhancement that came with DFX is now in the new and improved FxSound Enhancer.